The Paschalion of the Orthodox Church is a set of rules of determining the date of Pascha (Easter) that traditionally has been implemented by calendrical tables combining Metonic lunar cycles with the Julian solar year. The rules are attributed to the First Ecumenical Council (held at Nicea in 325 A.D.). The First Ecumenical Council (Synod) of Nicea in Bithynia (in present-day Turkey), convoked by the Roman Emperor Constantine I in 325 A.D., was the first ecumenical council of bishops of the Christian Church, and most significantly resulted in the first uniform Christian doctrine. With the creation of the Nicene Creed, a precedent was established for subsequent 'ecumenical councils of Bishops' (Synods) to form statements of belief and canons of doctrinal orthodoxy--the intent being to define unity of faith for the whole of Christendom, a momentous event in the history of the Church. Pascha (Easter) was computed according to a lunar calendar. This suggests the possibility that the annual Pascha celebration entered Christianity earlier than Martyrs' festivals, and that it may have been part of Christianity's initial Jewish inheritance. The question as to when Pascha should be celebrated began with the early Church and still remains unresolved. Broadly divided, there were two practices in the early Church: by an ancient tradition in Asia Minor, Pascha was celebrated on a fixed day of the lunar month (14 Nisan) or always on the following Sunday. Thus, by this method, the day of Pascha was connected with the Jewish reckoning of the Paschal moon; in Alexandria, on the other hand, and in the Western part of the Church an independent calculation was made; Pascha was always placed after the vernal equinox (equal length of spring day-night). Thus, the Eastern and Western segments of the early Church began to differ in the most important liturgical event of the year, the day of the Resurrection of Christ. Controversies and enmities began to develop to the point that one of the more important items on the agenda of the First Ecumenical Synod at Nicaea (325 A.D.) was the discussion and deciding on the date when all Christians should celebrate the day of the Resurrection. The objection of people to celebrating Pascha with or before the Jewish Passover culminated in its being canonically tabulated by the famous Byzantine jurist Ioannes Zonaras as follows: Pascha is to be celebrated on the Sunday after the first full moon following the spring equinox, provided that the Jewish Passover has already been celebrated. It is mostly because of this proviso that the Eastern and Western Churches celebrate Pascha on different dates, in some years more than a month apart. (1)...the most holy festival of Pascha should be everywhere celebrated on one and the same day...(So) cheerfully accept what is observed with such general unanimity of sentiment in the city of Rome, throughout Italy, Africa, all Egypt, Spain, France, Britain, Libya, the whole of Greece, and the dioceses of Asia, Pontus, and Cilicia; and SS(2) We have cast aside (the Jewish) way of calculating the date of the festival (because)...we should never allow Pascha to be kept twice in one and the same (solar) year!" "Since we keep the first of times (spring), and the equinox ("isimera"), and after this the fourteenth of the moon, and together with these the three days Friday, Saturday, and Sunday; lacking any of these at one time it is impossible to fulfill the Pascha." A traditional Paschalion of three elements is set forth in this homily attributed to Saint John Chrysostom. Its actual operation is clarified by the following passage from a letter traditionally attributed to Saint Ambrose, most probably dating from the year 386 A.D. when Alexandrian and Roman dates of Pascha did not match, and Saint Ambrose chose to follow the Alexandrian date. "We must keep the law regarding Pascha in such a way that we do not observe the 14th as the day of the Resurrection; that day or one very close to it is the day of the Passion...(and) it is evident that the day of the Resurrection should be kept after the day of the Passion, (so) the former should not be on the fourteenth of the (lunar) month, but later." Despite evident divergences in dating Pascha, the basic intention of the Nicene Holy Fathers is conveyed by these late four century texts. In summary, the intention was to establish a simple set of rules that would allow Pascha to be dated independently of the Jewish calendar and to ensure that the basic chronological sequence of Passion and Resurrection as recorded in the Gospels was imitated every year. Insisting on Sunday as the only day suited to commemorating the Resurrection reveals their intention to imitate the chronology of the original event; and their preference for an astronomically determined vernal equinox is evident from the Eastern Church's early adoption of the Alexandrian Paschal computations based on March 21st rather than March 25th, the conventional date of the vernal equinox on the official Julian and Alexandrian calendars. The 14th century Canon lawyer Matthew Blastares also enumerated the Paschalion's principles in a way that can be taken to require dependence on the Jewish calendar. 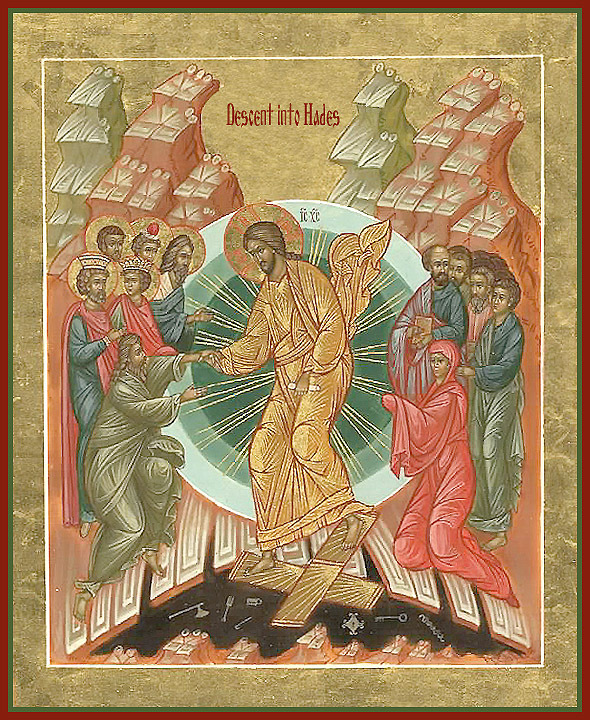 "First, that it is necessary to celebrate the Pascha after the spring equinox; second, that it is not the same day as the Jewish festival; third, that it is not merely after the equinox, but after the first full moon following the equinox; and fourth, that (it is) the Sunday immediately after the full moon."